Black Swan has launched a new range of breakfast-inspired dip range. The range was created to cater to Australia’s growing love for breakfast and brunch, something Black Swan says is evident in the increasing number of cafes offering all-day breakfast. 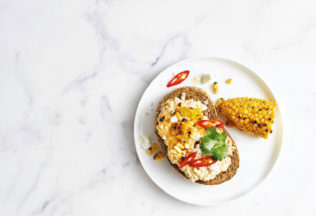 The dips come in four flavour variations – Bacon and Egg with Cracked Pepper, Smoked Salmon with Avocado, Dill and Lemon, Spicy Egg with Red Capsicum and Sweet Corn with Feta, Chilli and Coriander. Black Swan says the new range can be spread on toast, used with cracker and be enjoyed any time of day. The dips are available now at major independent supermarkets. The recommended retail price is AUD $4.99 per tub. Black Swan first started as a business operating out of the South Melbourne Markets in 1985. Its dips have since become widely available in Australian supermarkets. Black Swan is one of Australia’s leading producers of food dips and was went into receivership and was acquired by Philippine food coglomerate, Monde Nissin, in July 2014.